Clean air, cooler streets, safer neighborhoods, improved health – these are all things we’d like for our city of Nashville. What do they all share in common? 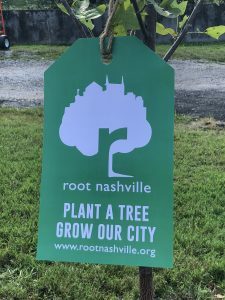 They are all goals that can be achieved in part through a larger urban tree canopy – and all are central to the mission of our new collaborative effort, root nashville. On October 3rd, I am joining with Mayor David Briley, Reverend Edwin Sanders, philanthropist Martin Brown and other community leaders to announce this innovative public-private partnership to plant 500,000 trees in Nashville by 2050. It’s an audacious goal – and it’s one that can only be achieved with the help of business partners, developers, health and environmental organizations, community groups, and caring citizens. As chairman of NashvilleHealth, I am heading up root nashville’s Advisory Board. 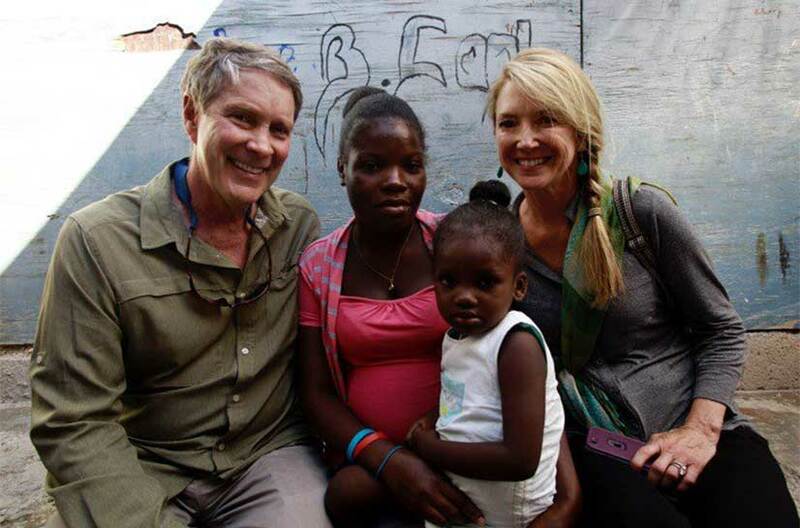 I am deeply passionate about this cause as a physician who has seen firsthand how environment impacts people’s health. Studies have repeatedly shown how proximity to trees and greenspace reduce stress and chronic health conditions like diabetes, stroke and cardiovascular disease, promote physical activity, and improve mental health and social cohesion. A robust urban tree canopy also allows our residents to breathe easier: trees produce oxygen and absorb carbon dioxide from fuel combustion and remove or trap lung-damaging particles from the air. That means fewer asthma attacks for our children. And after our record-setting summer heat, Nashvillians will appreciate the fact that trees reduce air temperatures by 1 – 4 degrees which can lower cooling costs by up to $50 per year. Furthermore, studies have shown urban areas with tree canopies have lower rates of crime. Simply put, more trees mean a healthier, safer city. Spreading the word about root nashville and the health benefits of trees! The time to act to preserve and grow Nashville’s tree canopy is now. Our region is growing at an unprecedented rate, with a 45% increase in population between 2000 and 2017. Between 2008 and 2016, Nashville’s tree canopy in urban zones fell by 15% and is behind many comparable cities across the country. This economic boom and population explosion have led to a decline in the natural environment – but that doesn’t have to be the case. We can make Nashville a thriving urban center with tree-lined streets, pocket parks, and greenspaces that will keep our city healthy for generations to come. 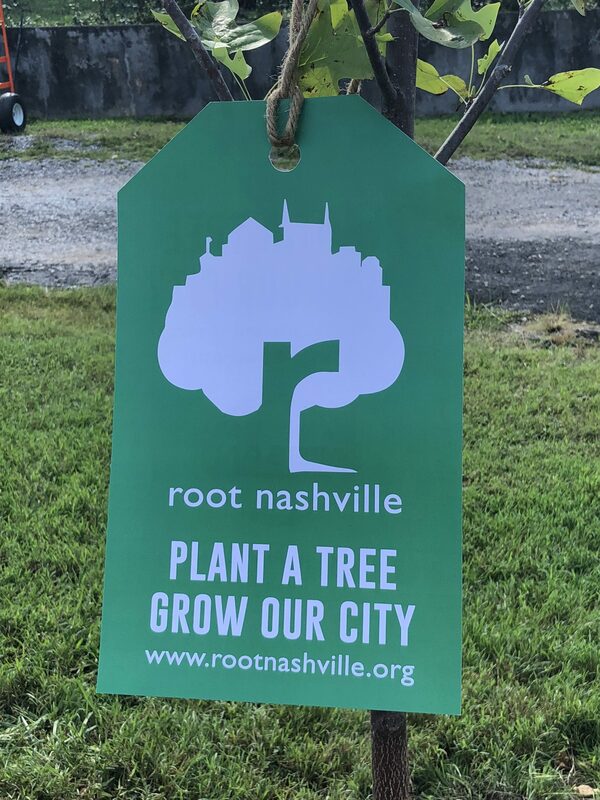 Join us at root nashville as we help our city take root! This entry was posted in Blog, Nashville, NashvilleHealth, News, Tennessee. Bookmark the permalink.